My current project is an Excel tutorial site. This is a custom single-page web app coded with React, Node.js, Blockly, and a variety of other supporting open source systems. You can try it out at http://excel.fun. This site asks students to input formulas in response to instruction. This keeps students engaged, and discourages passive reading. The tutorials are programmatically generated, meaning that they can respond to student input. As students type in formulas, the results are immediately shown to them. One unique element that I’m experimenting with is the use of block-based formulas. By giving students pre-written blocks I’m hoping to reduce their cognitive load. This is similar to Parsons problems, where students arrange pre-written lines of code into a working solution. You can find copies of my publications on ResearchGate. 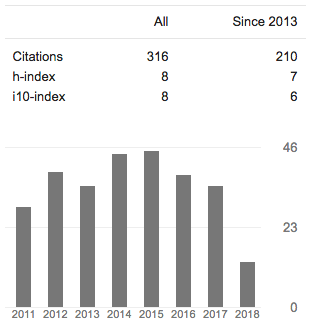 My Google Scholar page shows some of the more cited works. The most popular articles focus on ePortfolios, but my more recent tends to focus more specifically on CS education. I create a range of instructional videos. The more general ones are on YouTube.